Should We Add-on or Move? One question that I get frequently is this: should we add-on to our home or should we sell it and buy a larger one? My answer is … it depends! It will certainly depend on both your personal and your financial goals. What do you want to achieve with the renovation or with the move? There are important tax implications to your decision. Read more at the end of this article. Houses are usually designed to be the size they were originally built. When you add additional rooms your traffic flow might become awkward and your home could decrease in value. On the other hand, an addition could open up a closed floor plan and make it more functional and highly desirable in the eyes of a buyer. That, in turn, would increase your home’s value. I am happy to come by at any time to make recommendations on where you will get the most “bang” for your buck. We know what makes a difference in today’s market. We can advise you where to spend your time and your dollars on improvements and help you make the right decisions. Add on or move? We can help you make the right decision. Another issue that might come up is whether or not you are overbuilding for the anticipated values in your neighborhood. You need professional guidance to make that determination … don’t rely on what you find in the well-advertised real estate value websites. Most often, those sites are looking at the broad picture only. I can fine tune that picture and focus on your immediate neighborhood. We are immersed in the real estate world on a day to day basis, and we have the pulse of the marketplace! When I meet with you, I can familiarize you with comparable competing homes and with sales in your immediate price point and area. I can tell you whether or not you will be over-improving for the neighborhood. Every situation is different. If your lot is exceptional because of its location that could be a huge factor. If it’s on the water or on a golf course, it will have a lot of desirability. Supply and demand will dictate what makes sense and what does not. Not sure which way to go? Let us help. 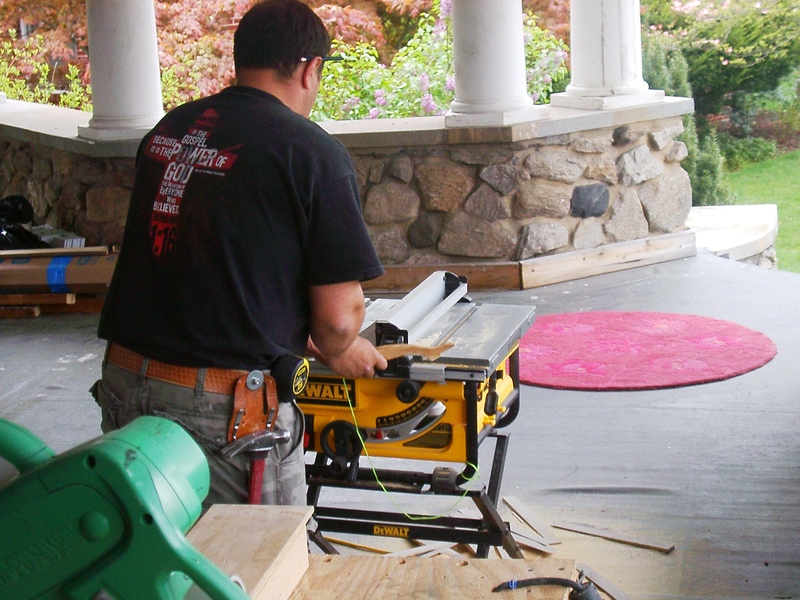 We have a list of contractors who have done work for many of our clients and have received rave reviews. 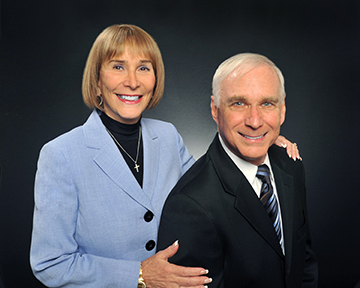 The following paragraphs were written by my personal tax consultant, Earl W. Morrow, CPA, PC. We firmly believe in using the best professionals when it comes to our business! You can reach Earl at his office, 770-642-9855. If you decide to undertake the renovation or addition, be careful to carefully document your basis in what was spent for the improvement. You will need that information eventually when you sell that home for this reason: since 1997 homeowners who sell a principal residence that they have occupied as their principal residence for 24 of the 60 months preceding the sale can exclude up to $250,000 of the gain on the sale of that home ($500,000 on a married filing joint return) from taxable income! You cannot declare this type of exclusion from income any more often than every two years. To determine what your gain in the home you sold actually was you must document purchase price, cost of all capital improvements and costs to sell your home. If you have more gain than the $250,000 ($500,000 married filing joint) your ability to document your basis becomes tax dollars saved! Adequate documentation consists of Invoices for materials and labor from contractors and vendors and canceled checks, charges to credit cards or other proof of the payment of the invoice. Borrowing the funds to finance the improvement or renovation can and usually is from HELOC or equity line loans secured by the residence. If not secured by the residence, the interest paid is not deductible. The interest on HELOC debt in excess of $100,000 or first mortgage debt in excess of $1,000,000 is not deductible. If borrowed to renovate or improve your principal residence, that debt is considered acquisition debt and may be deducted from regular taxable income and from Alternative Minimum Taxable Income. Hardwood flooring enhances the look of any room and creates a classic ambiance. Real estate agents agree that those homes hold their value better, sell faster and attract higher prices. Hardwood floors are always a draw. They impart warmth, depth and richness that can’t be matched by carpeting, tile or laminate flooring. The American Hardwood Information Center cites a national survey of real estate agents in which 99% of respondents agreed that restoring hardwood flooring in the home is one of the best long-term investments one can make. And 90% said these homes sell for more money. Though wood floors will probably need to be refinished at some point, when properly taken care of they are much easier to maintain than other floor surfaces. In our Atlanta area, the dark hardwood floors have become very popular and are featured in new homes. Many people who purchased their homes as recently as 10 years ago are finding that the golden oak floors, popular at the time, are no longer desirable for many buyers. When a homeowner invests in refinishing their hardwood flooring, it makes the home stand out and greatly increases the appeal for today’s buyers. It is money well spent and can make the home sell over the competition. The last quarter is finished…the holiday season has ended, and we are into the beginning of a brand New Year! As of the writing of my letter, there are 11 homes listed currently in Brookfield, ranging from a low of $395,000 to a high of $1,375,000. With a total of 39 homes sold in 2015, there has been great activity this year. 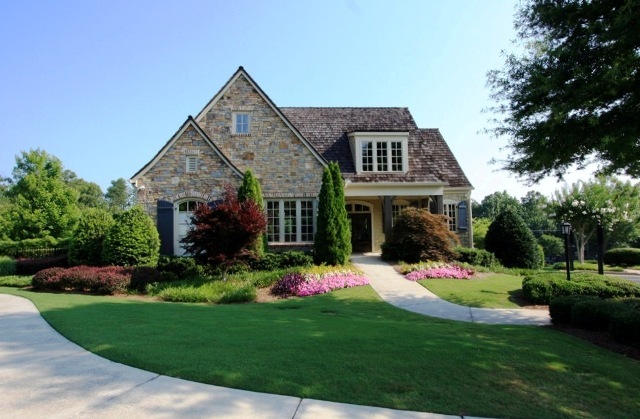 Brookfield Country Club has been one of the most sought after communities in North Fulton, especially, in recent years. We can attribute it to the value of the homes, the neighborhood’s great location, the convenience to Historic Roswell, the award-winning parks that Roswell has to offer, along with the outstanding Parks and Recreation programs, and the top rated schools! In addition, the lush landscaping is absolutely gorgeous, particularly in the springtime and in the fall.The club is a huge draw, as well as all the neighborhood activities. No wonder there are homeowners in Brookfield who move from one house to another within the neighborhood. We have done so ourselves! We are seeing a turnover in the neighborhood as many long-time residents are opting to downsize. At the same time, others are moving into Brookfield to be close to the schools for academics and sports as well as for the unique charm of Roswell. Many relocation buyers are also drawn to our area for these same reasons. During 2015, we saw many homes sell very quickly. In fact, two dozen sold within the first two weeks, often with competitive bids. These were typically homes which had been renovated or were priced lower than market value. And still, some homes, not priced properly in the beginning, have remained on the market for a long time. Price still drives the market, even when the supply is low and the demand is high. With the resources available today, buyers are making well-informed decisions, and they are choosing Brookfield! In 2013, the average sales price in Brookfield was $419,307 and homes were selling at 93.42% of the list price. In 2014, the average sales price was $421,720 and homes were selling on average at 94.35% of the list price. And in 2015, the average sales price was $468,323 with homes selling on average at 95.22% of the list price! So, prices are going up and Brookfield sellers are getting more for their homes. If you plan to sell in 2016, it is a good idea to get ahead of the spring market’s typical increase in inventory. Since pricing is a factor of supply and demand, the earlier in the year a home is on the market, the quicker it will sell, and often for a higher price since there is less competition. Right now, inventory remains extremely low, and interest rates are beginning to climb. If you are thinking of selling your home, you will have the best chance to get the highest price right now. The homes which sell for top dollar are those with recent renovations and lots of “bells and whistles.” So, if you are considering home improvements…updating with the newer granites, darkening the hardwood floors, lightening the cabinets, and updating to granite in secondary baths, it will be money well spent! We have sold more than 100 homes in Brookfield with eight sales in 2015, and we pride ourselves in staying abreast of market trends and values. If you are considering a move, give us a call. We’d love to work with you! Have you driven by the former Frazier Street Apartment complex? It is being transformed into a high-end luxury apartment community about 600 feet from Canton Street. The scope of this project was to tear down a much-dilapidated apartment community and replace it with a modern, in-town-style grouping of city blocks. It includes several 3- and 4-story buildings that will host 320 living units. Rent will be between $1,000-$3,000 a month for 1- and 2-bedroom apartments that will have high-end finishes and detail. It’s bound to be a successful project being so close to Canton Street and next door to several new, and successful restaurants. Chris Cassidy of the national developer Lennar said they plan to be close to full occupancy when they open next June. While the project itself is impressive in design, its impact on the Hwy 9 corridor will be significant. 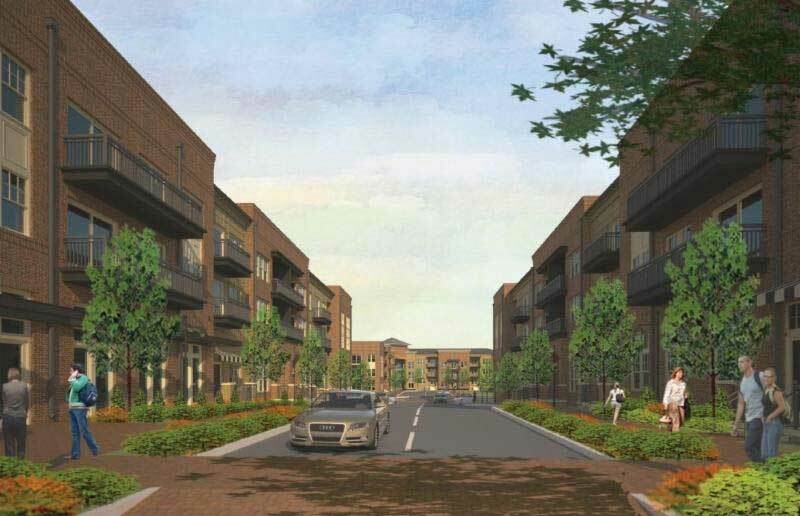 In the future, folks might look back on this project as the domino that spurred redevelopment up and down the 1.3-mile stretch from Holcomb Bridge to Norcross Street. When it opens it will instantly add more than 450 residents to the area that will be looking for that in-town vibe. Cassidy predicts a mix of young professionals and empty nesters. Canton Street is already one of the hottest destinations for dining in the Atlanta area. This major redevelopment will be a major factor in further revitalization. Thanks to Geoff Smith of Assurance Financial for providing most of the content for this story. If you would like to be on Geoff’s email list, contact him at 770-674-1433. The demand for new construction is high, and builders are rushing to accommodate the buying public. You may have noticed new home subdivisions popping up virtually everywhere. This is especially true in the cities north of Atlanta … Roswell, Alpharetta, and Milton. The new construction makes it important for us to price resale homes more competitively in order to get them sold. They must be in pristine condition so they can compete. Once priced right and pristine, and marketed aggressively (of course) they will sell. For a buyer, there are many advantages to purchasing an existing home, however, the lure of “new” has once again become a big factor in today’s real estate market. How can a seasoned agent help? A seasoned agent can add a lot of value to the process of purchasing a newly built home. Many buyers think they will get a better price if they go directly through the builder, yet, that is not the case. Since most new home sales are generated by cooperating brokers who are working with a buyer, the selling broker commission is built into the pricing and is not discounted when there is no buyer’s agent. There are thousands of real estate agents and few builder representatives, so the sheer numbers dictate that most homes are sold by cooperating agents. For that reason, builders want agents to work with them, and they even offer incentive programs to both buyers and to their agents. Most people don’t realize that. New home agents welcome the buyer representatives with open arms! Another advantage of working with an experienced agent on new construction is that we know what the builders will typically negotiate, how their contracts work, what stipulations might need to be added to their contracts, and how inspections work. We know just what you can and can’t do, since we have worked with so many builders for so many years. We also hold the builders accountable … it is no longer the builder and you. They must also be accountable to us, and a great relationship with us creates future business for them. If you are considering a new home purchase, we can help in many ways, so be sure to give us a call. We also have a lot of experience in knowing which builders have the best reputations. At The Lund Group, we are happy to help our past clients, our friends and our neighbors in any way that we can! Call us any time at 770-993-9572 for your real estate questions or needs. 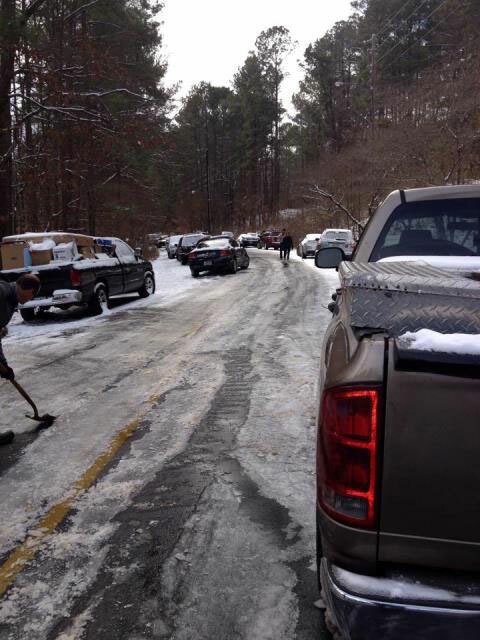 This is pretty typical of roads in Roswell, GA where drivers had to abandon their cars. Atlanta is a great place to live! Never was it more evident than when the winter weather hit this week … the snow storm that was supposed to “miss” Atlanta and fall south of the city, managed to hit us “head on!” Although it dropped less than three inches of snow, icy roads became the issue. In a city that rarely gets snow and has closed schools for the slightest threat of snow, we weren’t prepared for where the storm hit. We were supposed to get a “dusting” of snow, when in fact, we got a lot more! I was on my way to show a home on Tuesday at 1 pm. After just a mile the road was so bad and slippery, I had to turn around immediately and cancel the appointment. That client’s mom had driven up from the next town over to view the home with them, and she was not able to return for two days! As soon as it started to snow driving became unmanageable. There were dangerous, icy roads everywhere! Snow turned to ice on virtually all of our roadways creating a massive traffic jam, the likes of which most of us had never seen. It was a nightmare! One man walked 8 miles to his children’s school and ended up spending the night with the children and teachers at the school. As school buses headed out loaded with children, many could go no further and had to turn back. Some ended up in a ditch or ran into other vehicles. Parents spent hours and hours picking up children who were 10 minutes away. Other parents couldn’t get home from work. Students were forced to spend the night at their schools. Employers and employees everywhere left work in anticipation of the storm, but it was too late. Trucks and cars became stuck on ramps entering and exiting the freeways. People ran into each other while attempting to maneuver on sheets of ice. There were approximately 800 car accidents! A baby was born in the car as driving became impossible! People were trapped in their cars overnight, stuck in gridlock with no food and water, and with children in their cars. It was a standstill on freeways and hundreds of cars were left by the side of the roads. Temperatures dipped into the single digits. Many people had 6 hour, 10 hour and even 21 hour commutes to go short distances to their homes. In the midst of this awful scene, neighbors helped neighbors. Major grocery stores opened their doors to people who were stranded and allowed them to sleep in the aisles. Fire departments and restaurants opened their doors and made warm meals for those who were stranded. Teachers stayed overnight in schools with students, even with families of their own at home. People who lived close to the gridlocked traffic walked up and down offering food and water to stranded motorists. People helped each other and made the best of the situation. Strangers helped strangers and friends helped both friends and strangers. We all got through it. When the going got tough this week Atlanta showed the world what it is like to “love thy neighbor.” The experience made us all grateful. We are so very grateful to live in a place like Atlanta, where hospitality and kindness reigns! As I reflect back on this past year … it started off strong. We immersed ourselves in the business and became fully engaged. We traveled to Vancouver for a meeting with our business coach in January and came back with a clear vision for the upcoming year. We are strong believers in goals and visions. This year we set goals for many opportunities to help our past clients and family, plus goals of achieving great balance in all areas of our lives. With grateful hearts we were able to surpass most of our goals for the year. We believe that you get what you focus on! To my readers… May you and your families be blessed with happiness, good health and richness in all that matters most to you! On the Air ~ the Holidays are a great time to sell your home! The fall leaves will be gone soon and the holidays will be upon us! Many people think this is not a good time of the year to be selling, however, that is not the case! There is always less competition at this time of the year when most people decide to wait until after the holidays. Our inventory is extremely low right now, with only 2 to 3 months of inventory in many price points. The laws of supply and demand dictate that low inventory causes higher prices! You have the best chance of getting your highest price when the inventory is low, like it is now. During the holidays, there will be fewer buyers out there looking to purchase; however, those who are looking are typically very serious buyers. 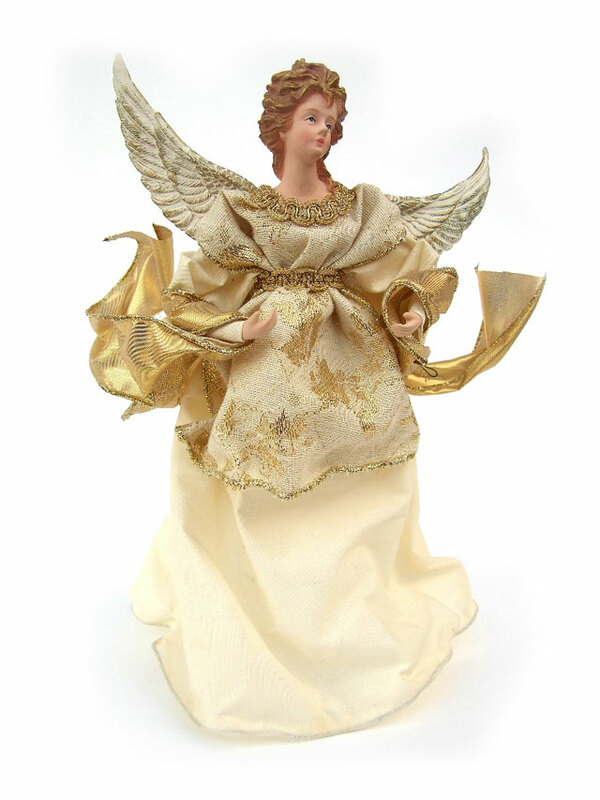 Homes show beautifully with the holiday decorations up and the scents of Christmas in the air. Most importantly, many of the corporate relocations take place on January 1, so those transferees need to find homes now. It is a great time for local moves since the children are out of school and families can transition easily. Most sellers are thinking they will wait until “after the holidays”. The results … more competition after the first of the year … and more competition means lower prices. Interest rates remain at historic lows…they can’t stay there forever! The criteria for mortgage lending is going to have some new rules, making it a little more difficult for buyers to obtain loans…come Jan 1. If you are thinking of a move in the next few months, I would highly recommend that you do it now! You will love the results! Let’s have a conversation! Email Cathi or call our office at 770-993-9572. Houses are usually designed to be the size they were originally built. When you add additional rooms your traffic flow might become awkward and your home could decrease in value. On the other hand, an addition could open up a closed floor plan and make it more functional and highly desirable in the eyes of a buyer. That, in turn would increase your home’s value. I am happy to come by at any time to make recommendations on where you will get the most “bang” for your buck. We know what makes a difference in today’s market. We can advise you where to spend your time and your dollars on improvements and help you make the right decisions. Another issue that might come up is whether or not you are overbuilding for the anticipated values in your neighborhood. You need professional guidance to make that determination … don’t rely on what you find in the well-advertised real estate value websites. Most often, those sites are looking at the broad picture only. I can fine tune that picture and focus on your immediate neighborhood. We are immersed in the real estate world on a day to day basis, and we have the pulse of the marketplace! When I meet with you, I can familiarize you with comparable competing homes and with sales in your immediate price point and area. I can tell you whether or not you will be over improving for the neighborhood. Every situation is different. If your lot is exceptional because of its location that could be a huge factor. If it’s on the water or on a golf course … it will have a lot of desirability. Supply and demand will dictate what makes sense and what does not. Another one of my favorite neighborhoods is Lakeside at Ansley in Roswell, Georgia. I’ve been selling homes in Lakeside since 2001 when it was brand new. It is a picturesque Chatham community of approximately 155 homes, known for quality custom builders and gorgeous homes. From the very beginning this community was carefully planned. As you drive through it’s hard to know where to look. Creative professional landscaping has been the signature quality of each and every home site. Lakeside at Ansley is a gated community with 24 hour security. Anyone who drives up must first sign in with the attendant. When residents are having guests they inform the gate ahead of time, then all guests are checked in as they arrive. This safeguard has been one of the neighborhood’s best selling features. One of the best ways to really enjoy a community is through its recreational amenities. 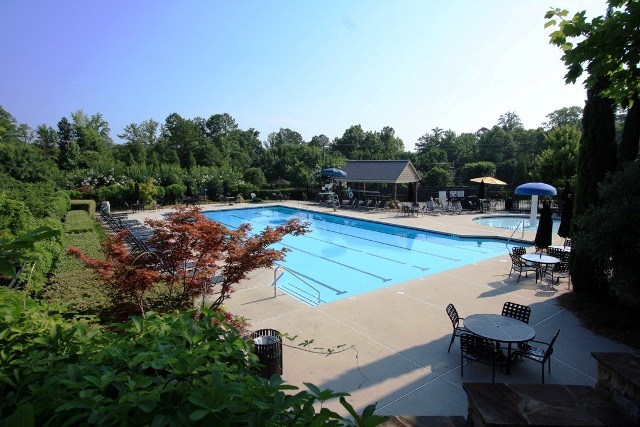 Lakeside features a pool, clubhouse for the residents, toddler pool, playground, lighted tennis courts, and a tennis pavilion. ALTA tennis is strong within the neighborhood and there are terrific tennis opportunities. There are also a number of clubs and group social gatherings, often held in the beautiful clubhouse. Keeping it all together is the active homeowner’s board comprised of residents within the community. Lakeside at Ansley is located in the North Fulton suburbs, approximately 2.5 miles from Roswell High School. It is close to Roswell’s Historic Canton Street which features unique specialty shops, antiques, art galleries, historic homes and the area’s finest restaurants. There are also two amazing parks nearby. 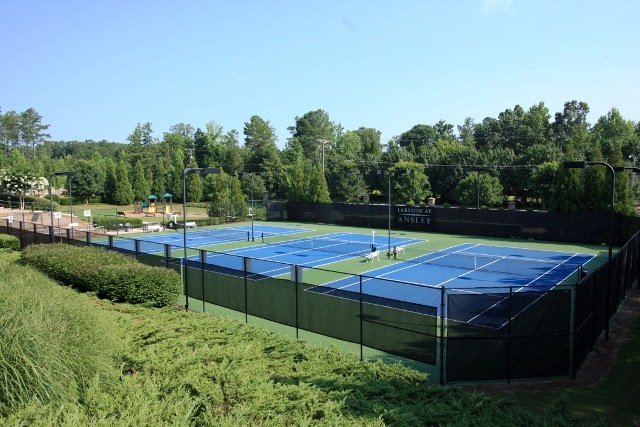 Roswell Area Park has an Olympic sized pool, arts center, gymnasiums, a lake, lighted tennis courts, picnic areas, playgrounds, manicured ball fields, and 3.2 miles of walking trails. The Leita Thompson Memorial Park has 2.5 miles of walking trails through the woods. Tennis courts within the neighorhood … Golf is just a short drive away. For the golfers, Lakeside is close to Ansley Golf Club’s Settindown course. Ansley Golf Club offers members two distinct golf experiences … Ansley’s 9 hole course located in the Ansley Park area of midtown Atlanta with it’s vintage charm, and Ansley’s Settindown course with the unique rugged look of a rural course. Lakeside is also convenient to Brookfield Country Club with an 18 hole course, driving range, pro shop, restaurants, clubhouse, lighted tennis courts, an Olympic sized pool, and very affordable memberships. Great schools are featured in this area, both private and public and many relocating families choose this area just for the fine schools. It is a great place to live! We have been tracking every sale in Lakeside since it was established. We have sold more than 20 homes in Lakeside and have become known as the neighborhood experts. There are currently 10 homes for sale in Lakeside at Ansley ranging from the $700’s to $1 million. The Lund Group currently has one home under contract and scheduled to close this month at $899,000. Sales in the community have gone all the way up to $1.7 million dollars. If you would like a tour of the community or would like to view any of the homes which are currently on the market in Lakeside, please give me a call and I will make arrangements to show them to you. If you would like a tour of the community and any of the homes currently on the market just contact Cathi. I’ll make arrangements to show them to you! Click on the logo for a free Listingbook account … and Search for homes anywhere in Atlanta … SEARCH LIKE AN AGENT! Any products and/or services offered for sale on this website shall not be considered an offer to sell such goods and/or services in any state other than Georgia.